I’m humming Dinah Washington whilst reflecting that one of the many really lovely parts of my job is that I get to go out and about and visit churches. Most of the time this because they have applied for a grant, so I don’t always see their best side… however, when I get to go back and see just what a difference our funding has made it’s truly worthwhile. 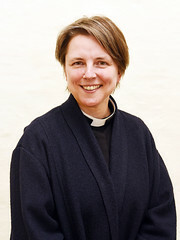 Last week I went back to see Huddersfield St Peter and met with the Vicar, a very happy Revd Simon Moor. When I first visited this impressive Victorian town centre church in 2011 it was in dire need of major works to parts of the roof and to stonework along the north and east walls. The two vestry roofs needed re-slating and new leadwork, and internal drainage needed replacing to prevent the considerable water ingress which was taking place. Stonework was in dire need of repair and replacement, including to windows (mullions and hoods) and walls, and two pinnacles on the east door were leaning considerably. Also, the whole east end needed re-pointing to remove concrete and other harmful mortar. 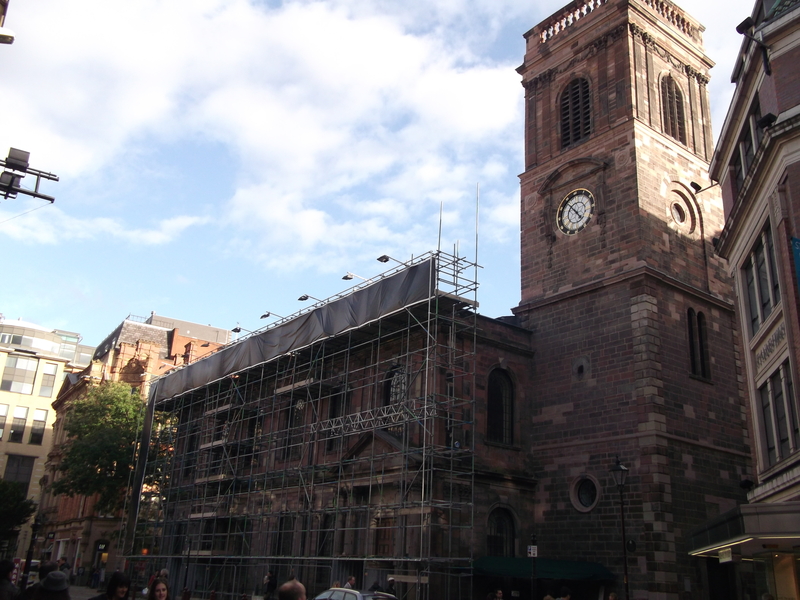 In 2012 we awarded the church a £40,000 Cornerstone Grant to complete the major repairs to the fabric of the building to safeguard it for the future. This grant was only made possible by the support we in turn receive from Friends, donors and trusts and foundations. This month I visited again and was delighted to see the extent and quality of the work undertaken to repair the fabric of the building, particularly to the roofs and stonework of the vestries and the east end. The church members have a long term vision for their building and its place in the town. They have plans for making the space open and accessible, and for encouraging use of the building by a wide range of groups and individuals. Having completed this major phase of repairs, they are now able to for more activities and events, and be sure that the fabric will sustain them for many years to come. The church is continuing to fundraise for further repair projects, including more repairs to stonework, if you would like to find out more please visit their website. For more information about becoming a Friend of the National Churches Trust, and helping to save and secure churches like Huddersfield St Peter please download our membership leaflet. The National Churches Trust has confirmed £370,000 funding to help support the repair and modernisation of 23 places of worship in England and Wales. 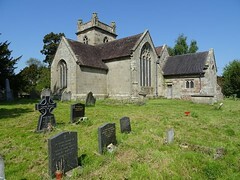 Places of worship receiving grants include St Mary’s, Sawley, Derbyshire – one of the last surving ‘tin hut tabernacles’ – and St John the Evangelist, Tolpuddle, Dorset, where James Hammett, one of the Tolpuddle Martyrs is buried. Both these places of worship receive National Churches Trust Communuity Grants, which will help them provide a greater range of modern facilities for worshippers and vistors. At St Mary’s, Sawley, Derbyshire the National Churches Trust grant will help fund a project to open up the building to the wider community and ensure that it is used every day by adding a fully fitted kitchen, an additional accessible toilet and opening up the internal space to give an increased area for social and communal activities which would be accessible to visitors with disabilities. St Marys’ church is the only remaining ‘tin-hut tabernacle’ used for regular worship in the Anglican Diocese of Derby. 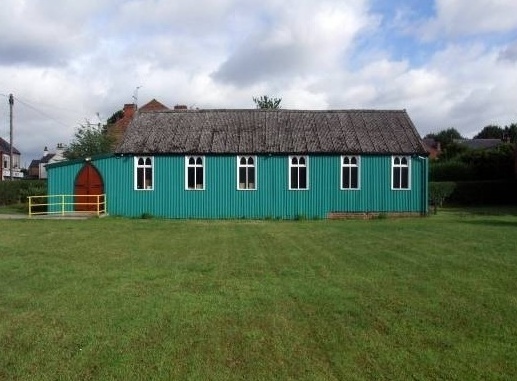 It was loaned second hand from Heanor Parish in 1912 as a mission daughter church to All Saints’ church in Sawley – a chapel-of-ease situated between All Saints’ church and St Lawrence church in the centre of Long Eaton. It enabled local people to attend a church service/Sunday school without having to walk several miles. The long term plan was to erect a brick built church, but this did not happen because of the Great War which followed on soon after. St Mary’s has become an increasingly vibrant community hub in the Wilsthorpe ward of Long Eaton over the last 2 years. Weekly clubs now include ‘Knit and Natter’, SMILE lunch club and Alcoholics Anonymous. At St John the Evangelist, Tolpuddle, Dorset the National Churches Trust grant will help fund a project which includes the construction of a small extension to accommodate a disabled toilet and the installation of kitchenette. This is considered essential for the future of the Church. St John’s as a flexible community space would be well used. The association of the village with the Tolpuddle Martyrs attracts many visitors and the Martyrs Museum alone has 40,000 visitors a year, many of whom come onto visit the church and its churchyard containing the grave of James Hammett. The present building has elements dating from the 12th century, including the Nave, a Romanesque doorway with a fine tympanum inside the south porch and a smaller doorway relocated from the original Nave north wall to the north wall of the North Aisle. Use of the Church is currently limited due to the lack of a water supply, kitchen facilities and a disabled WC. In the churchyard there is a commemorative headstone by the sculptor and engraver Eric Gill to mark the grave of James Hammett (1811-1891), the only Tolpuddle Martyr to return to live and die in the village after transportation. A wreath is laid on James Hammett’s grave each year during the Martyr’s Festival in July. In the year 1832, the Vicar of Tolpuddle, the Rev. Thomas Warren betrayed the agricultural workers of Tolpuddle (many of whom were Methodist). He did this by first acting as a witness to an agreement between farm labourers and land owners for a fair wage, and then denying any such agreement when the land owners went back on their promises. In 2010 a covenant was signed between the Church of England and the Methodist Church and the rift was healed. HRH The Duke of Gloucester KG GCVO has visited three east London churches which have been awarded significant grants by the National Churches Trust. The visits to St John on Bethnal Green, St John of Jerusalem, Hackney and Memorial Community Church, Plaistow took place on Wednesday 24 April as part of the National Churches Trust’s 60th anniversary year celebrations. 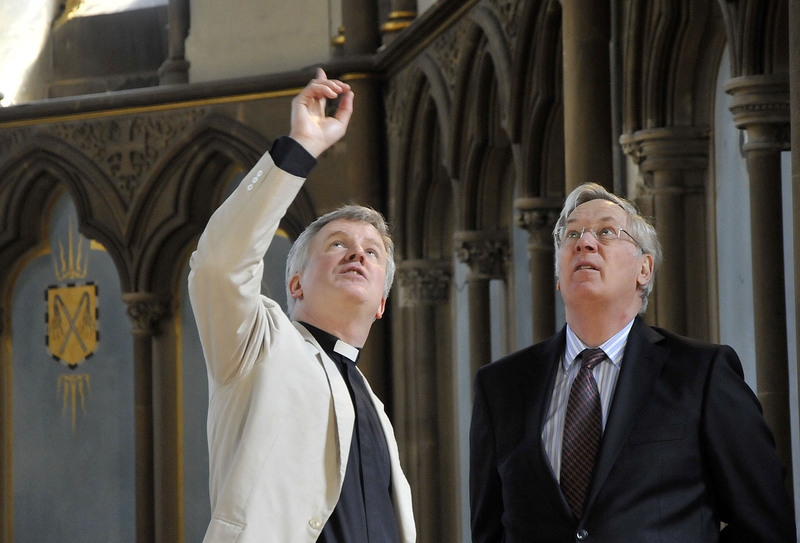 HRH The Duke of Gloucester, who read architecture at Magdalene College, Cambridge, and who was formerly a partner in a firm of London architects, is Vice Patron of the National Churches Trust. St John on Bethnal Green, Tower Hamlets, which since 2005 has received funding of £54,000 from the National Churches Trust for roof and tower repairs and re-wiring. St John on Bethnal Green, listed Grade I, is by the great Georgian architect, Sir John Soane, and was consecrated in 1828. It occupies a commanding position at the head of Bethnal Green Road and is a landmark for the whole area. The church seeks to combine dignified traditional worship with a commitment to social justice and an engagement with contemporary arts. St John’s has been listed in The Guardian newspaper as one of the top five cultural highlights of the East End because of its mixture of spirituality and art. HRH the Duke of Gloucester was shown around St John on Bethnal Green by Rector Alan Green, who is also Tower Hamlets Borough Chaplain and the Bishop of Stepney’s Inter Faith Adviser. St John of Jerusalem, Hackney, which since 2007 has received funding of £65,000 from the National Churches Trust for roof and stone repairs. St John of Jerusalem is a grade II* church by Hakewill. Neo-gothic in style, it was built of sandy limestone that has been crumbling ever since it was consecrated in 1848.The church helps to provide a winter night shelter for homeless people and hosts concerts and a wide range of other events. HRH The Duke of Gloucester was shown around St John of Jerusalem by the Revd Andrew Wilson, who has been Rector since January 2009. (Richard Gloucester is Grand Prior of the world-wide Venerable Order of St John of Jerusalem, the Anglican ‘equivalent’ of the Order of Malta of which the Queen is Sovereign. Memorial Community Church, Plaistow, Newham which since 2007 has received funding of £60,000 from the National Churches Trust for the installation of toilets and improved access and for repairs to brickwork, rainwater goods and windows. The Memorial Baptist Church building was opened in 1922 to house the church and its welfare work. The architect was William Hayne. In the East tower there is a unique chime of ten pealing bells cast by Gillett and Johnston of Croydon in 1925. The names of 169 men from the church and local community who were killed in the First World War of 1914-1918 are cast on the bells.The church works extensively with the local community through projects such as Bridges and youth work, and links with other groups such as Alternatives’ We Are Family Project and Transform Newham’s group of four churches in Plaistow.HRH The Duke of Gloucester was shown around Memorial Community Church, by Rev Mark Janes. Also taking part in the visit were: Lt Col Alastair Todd, Private Secretary and Comptroller to TRH The Duke and Duchess of Gloucester, Luke March DL, Chairman National Churches Trust, Claire Walker, Chief Executive National Churches Trust, Jennie Page CBE, Trustee National Churches Trust, John Maudslay, The Mercers’ Company Church Committee ,Georgina Nayler, Director The Pilgrim Trust and Michael Elks, Partner RadcliffesLeBrasseur. 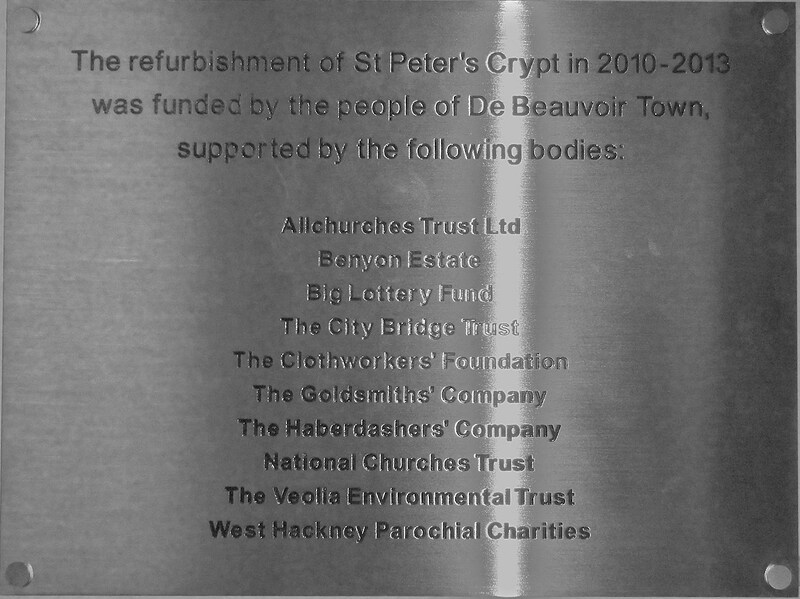 News from Miriam Campbell, our Finance Manager (the lady who writes the cheques for all our grants), who went out to explore St Peter de Beauvoir, Hackney, one of the churches to whom we gave a grant last year. After a lovely visit to the above church I am happy to report that out grant has most certainly been well spent. I was given a tour (together with another funder rep from All Churches Trust) and saw before and after pictures The renovation of the crypt is stunning , with the space being transformed into a beautiful new community space. The space is being used for activities such as – Cold Night Shelter, acupuncture and acoustic, yoga , parents and toddler groups. The list is endless as the space is designed to be multi -purpose. So along with a nice cup of tea and cake in company with some local residents, it was all in all a pleasant hour spent in a church crypt! It’s great to see our grant funding going to such great use! Visit the church website to learn more about their project and see pictures of the church and it’s activities, please click here. St An n, in the city centre of Manchester looked lovely in the bright sunshine of Saturday afternoon. 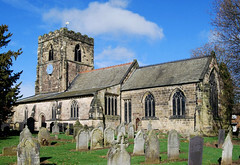 The church received a £40,000 Cornerstone grant from us in 2011, which is being put to good use as part of major restoration work to the c1712 sandstone church. Unfortunately I didn’t get to explore inside on this visit, but I will be back across the Pennines soon to go and have a look.